2- story home( 12 years old) located on hillside cul-de-sac in family friendly area on 3/4 acre with 4 bedrooms, two full bathrooms, finish basement, 20x50 heated pool, spa, large deck and barbecue grill. All furniture and appliances are new...... kitchen appliances are stainless steel. Home is equipped with phone, cable, internet, 50-inch flat screen TV, bar, central air condition and fireplace. Location is excellent and transportation is not required but recommended. Walk to Town(10 minute walk )... restaurants, clubs, bars, grocery stores, movie theatre. Walk to Haven Beach in 5 minutes..... drive to Ocean beaches in 10 minutes. Ideal location for bike riding, jogging or walking; golf course and airport 5 minutes away. The house is centrally located, 10 minutes from East Hampton Village( major shopping area) and 20 minutes from Montauk and Southampton Village, depending on traffic. -Property does not have wheelchair ramp, however there are only three steps to enter house. -Smoking is permitted outside. Please do not wear High Heels in house. 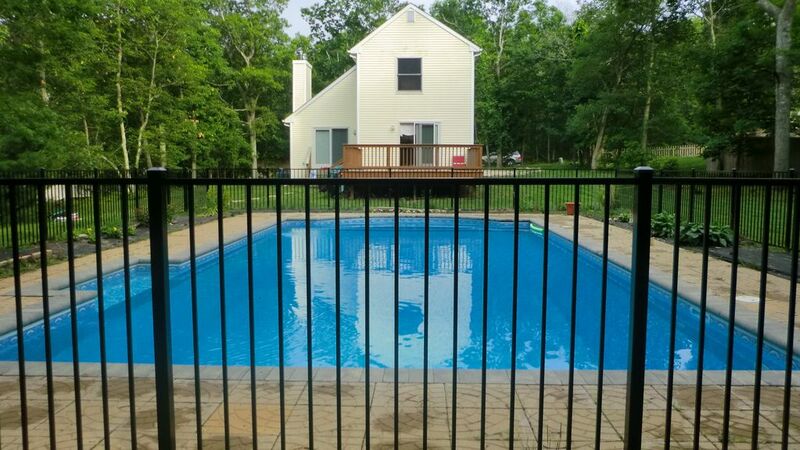 The property is a new home(5 years old) located on a quiet hillside( cul-de-sac) in Sag Harbor. It is a 10-minute walk to town where restaurants, shopping, art galleries, movie theater, grocery stores, bars, clubs are located. A 5-minute walk across the highway takes you to Haven Beach (nearest beach) and Sag Harbor Golf course is a 5-minute car ride. Hampton Road ( route 114) has a very popular bike /jogging path that stretches in excess of twenty miles and leads to other bike paths. Additionally, East Hampton Village is a 10-minute car ride, where there are fanastic stores, restaurants, art galleries, movie theaters, clubs, bars, flea markets, super markets( Walbaum), beaches, miniature golf etc.